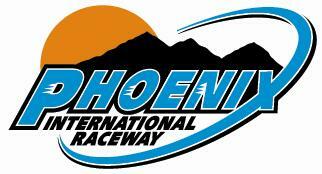 The fourth weekend of the NASCAR season takes place at Phoenix International Raceway. This 1-mile track has been home to some of the most intense racing on the circuit in recent years and with three drivers already in the Chase, there figures to be no shortage of others who try to punch their way with a win this weekend. On Friday both the Xfinity Series and Cup Series hit the track with practice with the Cup Series guys closing down the day with qualifying. On Saturday the Xinity Series takes the stage with the Axalta 200. The Good Sam 500 takes place on Sunday with the Cup Series. Below you can see the entire NASCAR weekend schedule at Phoenix as well as last years winners. 2:30 p.m.: NASCAR XFINITY Series Axalta Faster. Tougher. Brighter. 200 (200 laps, 200 miles), FOX GREEN FLAG: 3:16 p.m.
3:30 p.m.: NASCAR Sprint Cup Series Good Sam 500 (312 laps, 312 miles), FOX GREEN FLAG: 3:44 p.m. Temperatures go from a high of 90 on Firday to 73 and Sunny on Saturday. When Sunday comes around the track will be Sunny with a high of 79.